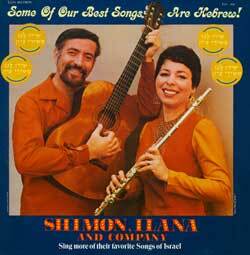 Notes Featured with Shimon and Ilana on this album, are their two older daughters, Aviva and Shira. Both girls have recorded in the past with their parents, but on this lbum are given ample opportunity to display their musical gifts. Shira's flute duets with her mother are one of the highlights of the album and the fresh, sweet sound of the girls' vocal solos and duets remains with the listener long after the song is over.They are joined, for the first time on records, by their younger sisters, Aliza and Debra, who are also veterans in performing with their family.